Alìe Rose Ammiraglia 2016 Toscana IGT Alìe 2016 is a refined and elegant wine characterised by its pale rosé colour and subtle peach highlights. Fruity and intense with immediate freshness on the nose gained in ripe fruity, the aromatic fruits carry from the nose to the palate, augmented by a textured streak of minerality, with citrus, Marasca cherries and white melon fruit notes. 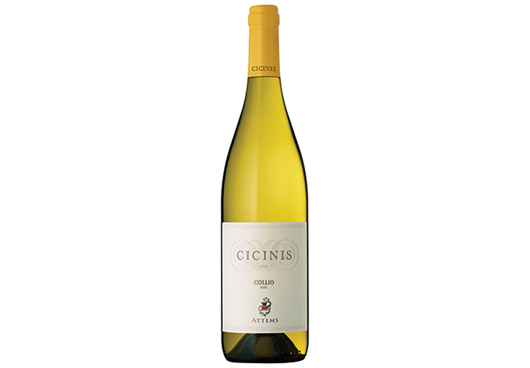 Venezia Giulia IGT A lovely straw yellow introduces Attems Chardonnay, followed by rich aromas of ripe apple. Full and well structured on the palate, it shows appreciable weight and a crisp mineral edge. This intensely luminous straw-yellow wine slowly releases its aromas, initially banana and apricot, followed by hints of tropical fruit and summer flowers, with herbaceous notes of sage completing its impressive aromatic boquet. Vibrant and well balanced on the palate, the wine boasts full flavours and superb elegance, with a well-balanced and very crisp finish.